Hi everyone! 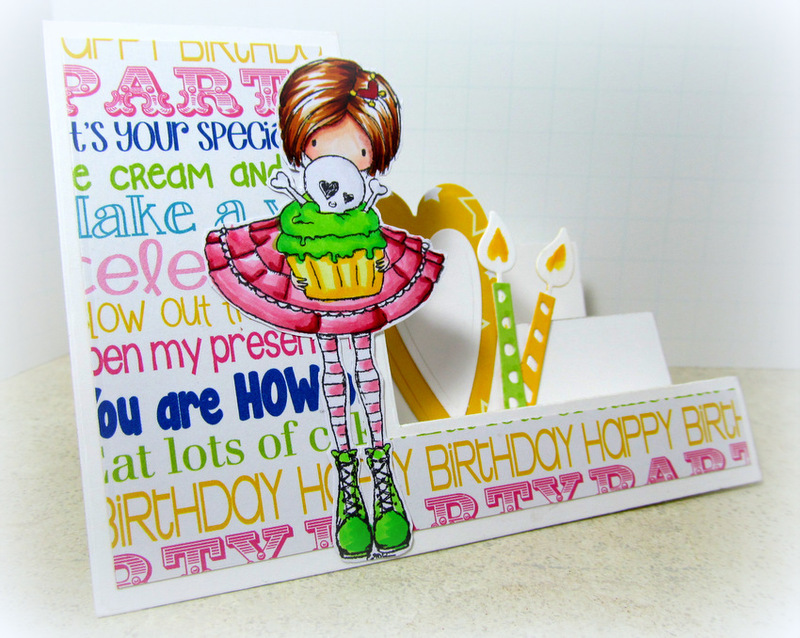 Monica here sharing a 3 step card I made using Tiddly Ink "Semi Sweet"! 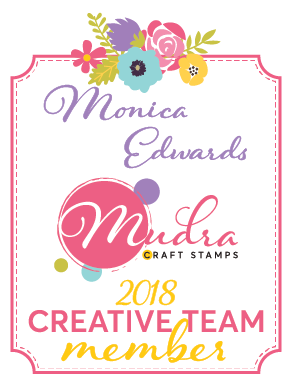 I stamped her with Tuxedo Black Memento Ink on XPress-It paper. 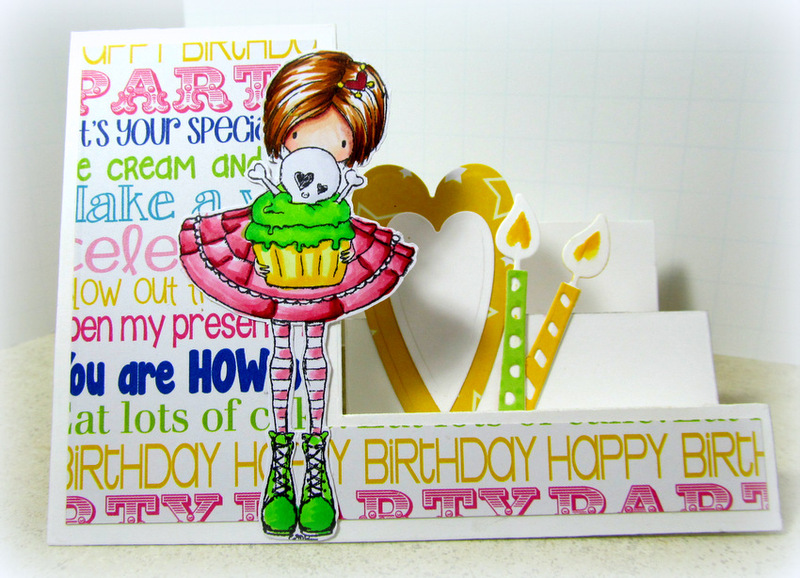 I used a new release die from Spellbinders called Gift of Happiness to make the side step card. It comes with all these cute add-ons!